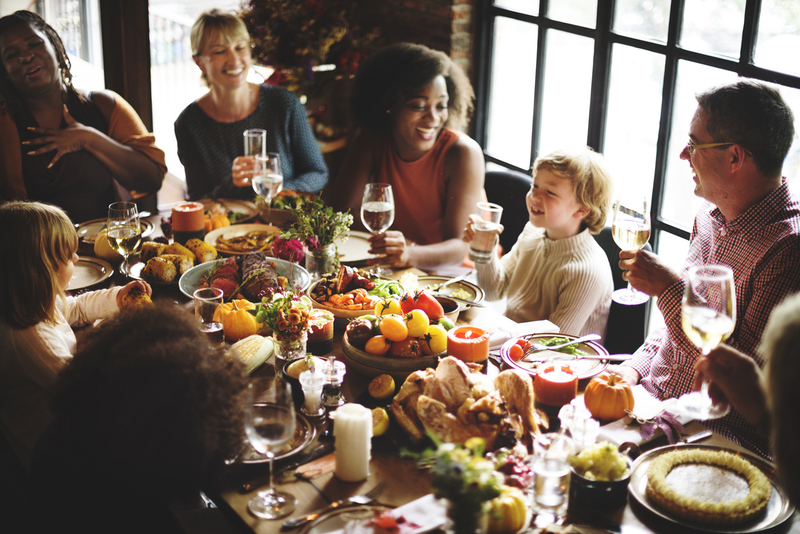 Thanksgiving is around the corner and wouldn’t it be nice if this year’s festivities went a little less chaotic than last year’s? Yeah, it would. Let us point you towards some helpful online resources that might take some of that heavy lifting off your shoulders. Tackle Thanksgiving with some online planning. Pulling off a perfect Thanksgiving dinner is almost like a piece of art: at a glance, it looks simple enough but in reality, there’s a lot of odds and ends, potential kitchen melt-downs, and definitely a lot of in-depth preparation going into this ultimate family and friends hosting project. The key to staying on top of your to-do list—while also being able to actually enjoy Thanksgiving yourself—is to make your plan today and start checking things off tomorrow. Finalize and manage your guest list. A Paperless Post email invite will set a beautiful and impressive tone for your Thanksgiving party this year. You just pick and choose a predesigned theme card, add your custom message to it, and email it to everyone you’re inviting to this year’s feast. Once sent, you’ll be able to track who opened their mail, as well as who RSVPed, declined, or asked you a question. Easily plan the perfect Thanksgiving menu. From “How experienced a cook are you?” to “When will you be cooking?”, the New York Times Thanksgiving Menu Planner plans exactly to your needs. Filter for the type of meal you envision and specify your guests’ food restrictions to receive culinarily dreamy recipes that are completely free of charge if you just sign up for a 4-week free trial—no credit card required. Pro tip: Check all your required cooking equipment now, so you can be sure there will be no bad surprises on the big day! Canada performed exceptionally well at this year’s Decanter World Wine Awards 2018 and for this reason, the Decanter tasting team has compiled a list of the most outstanding local Canadian wines. Picking one of these for your Thanksgiving might just add that little extra bit to perfect your locally sourced meal this year! Craft Thanksgiving decor your guests will remember. Let Pinterest’s endless collection of beautifully unique Thanksgiving decor inspire you this year or even get your little ones involved in the preparations and excited for the big dinner party with some of Parenting.com’s Thanksgiving Crafts for kids. Keep all your guests happily entertained. From a Gratitude Scavenger hunt to game-filled colouring placemats, preparing kid-friendly activities is something you’ll have to put a little extra effort into but when it’s dinner time and you get to eat and enjoy while the little ones are happily occupied, you know it paid off. Happy planning to you all and a happy holiday from us at Xplornet!